This zinc-plated Steel 55 GALLON DRUM AGITATOR is specially designed to fit through center bung opening. Large surface area for thorough agitation of settled contents. 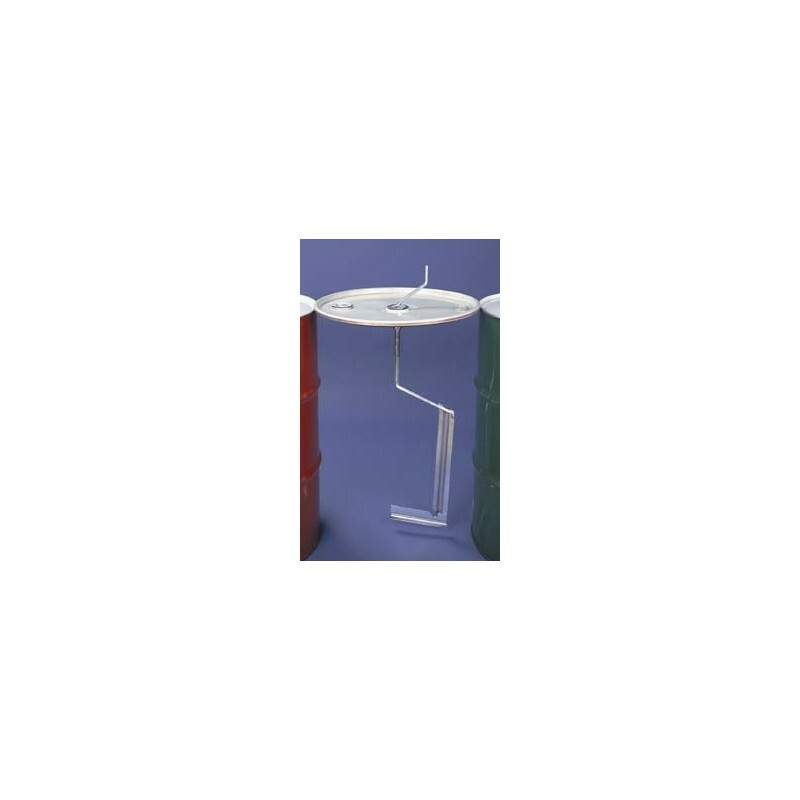 Includes 2” NPS steel bung adaptor permanently affixed to the unit. 1/2" square shaft fits most power agitator drives. Agitator handle is zinc-plated steel, 8” long. Handle clip is also zinc-plated steel. 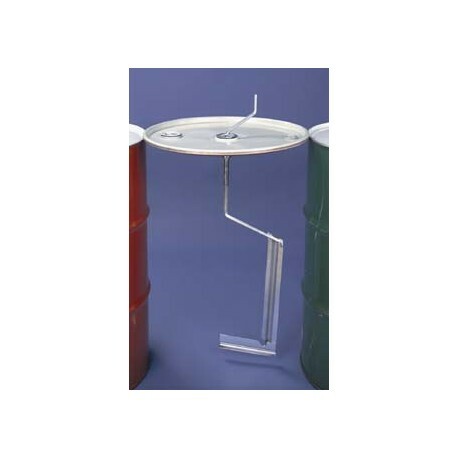 Fits under 2” NPS bung, fastens handle securely to drum for shipping and storage. If your open-head drum DOES NOT have a center 2" NPS Bung, we do offer a replacement drum cover as a seperate accessory. The optional drum cover does not include the agitator, you must order each item seperately. 1229 W. Cortland St. · Chicago, IL 60614-4805 · Phone: 1-800-621-1296 OR 773-248-0099 · Fax: 1-800-99FAXUV OR +1-773-880-6647· Email: info@uvps.com © COPYRIGHT 2019 U V Process Supply, Inc.